Cleo Coyle is a pseudonym for Alice Alfonsi, writing in collaboration with her husband, Marc Cerasini. Both are New York Times bestselling authors of the Coffeehouse Mysteries—now celebrating more than ten years in print. 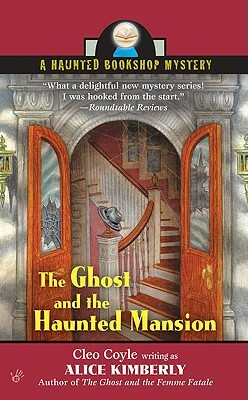 As Alice Kimberly, they also write the nationally bestselling Haunted Bookshop Mysteries. Alice has worked as a journalist in Washington, DC, and New York, and has written popular fiction for adults and children. A former magazine editor, Marc has authored espionage thrillers and nonfiction for adults and children. Alice and Marc are also bestselling media tie-in writers who have penned properties for Lucasfilm, NBC, Fox, Disney, Imagine, and MGM. They live and work in New York City, where they write independently and together.